So it’s been some time since my rant about Rehab Addict. I’ve been staying busy – so busy that there’s no time for TV – that will keep my frustration level down to a manageable level. 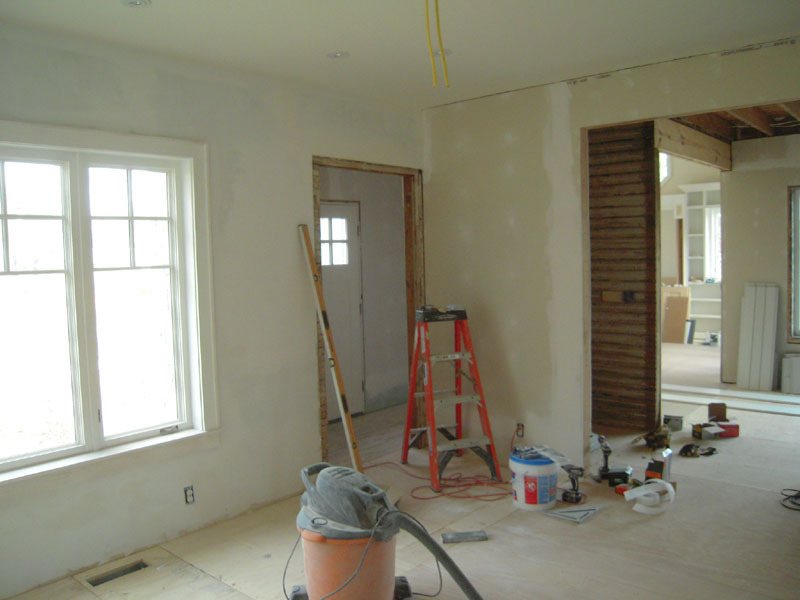 We start by finishing the original entry casework and drywall. 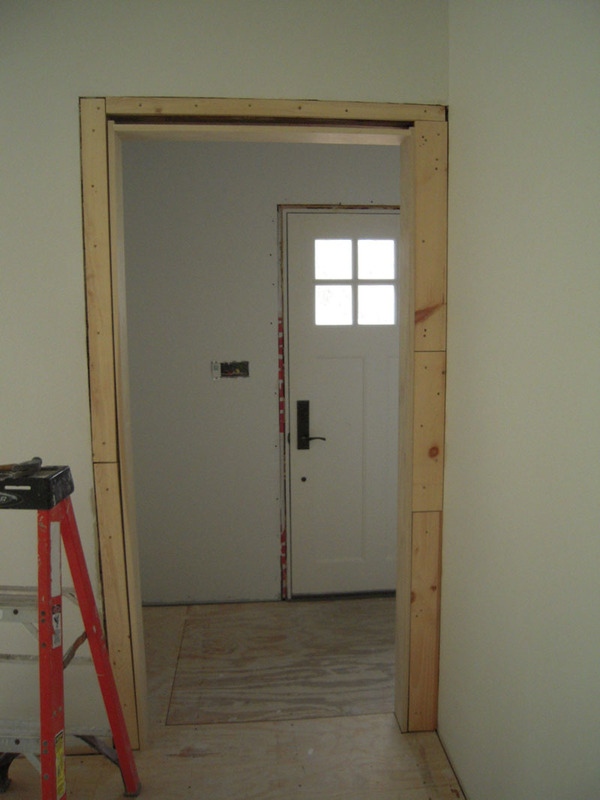 Here you can see the entry in relation to the future wine bar and the sunroom. 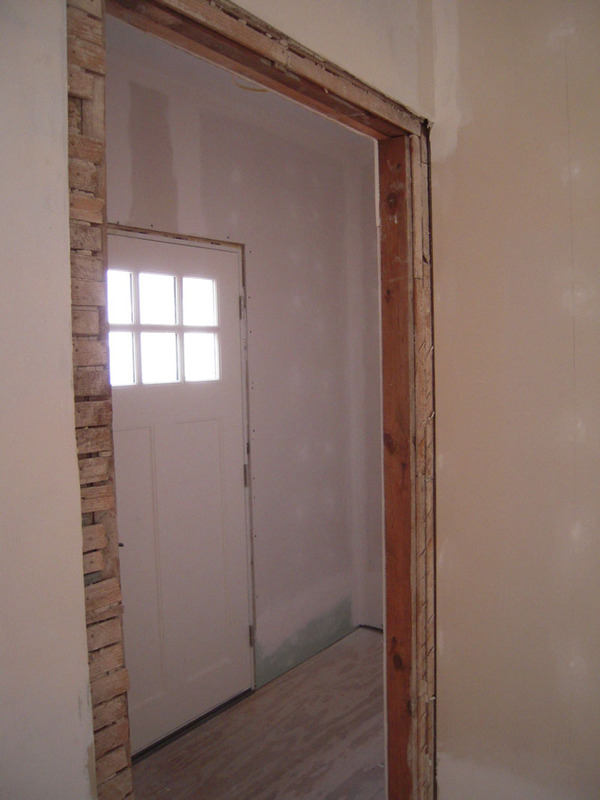 The previous owner had sheathed the window wall with drywall with the original lath – so this made the door a little thicker than usual. 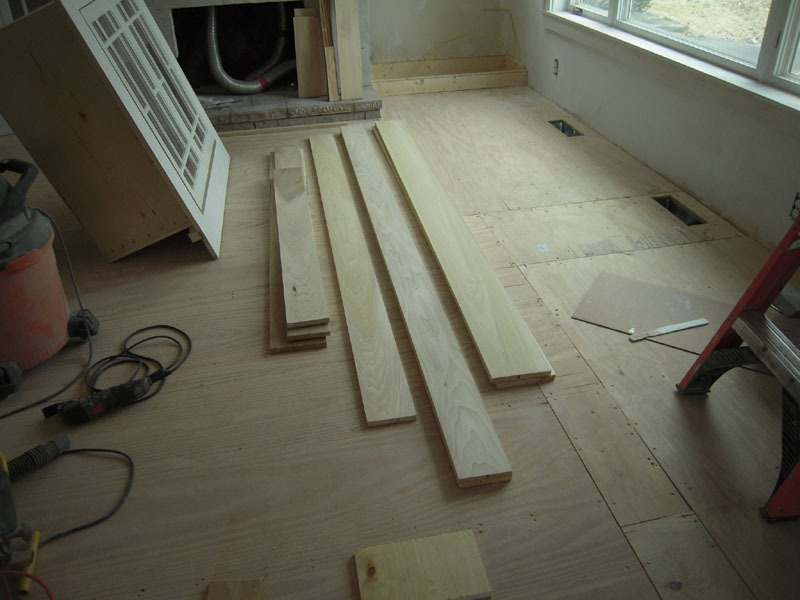 So plywood spacers were added to get the framing level with the drywall. 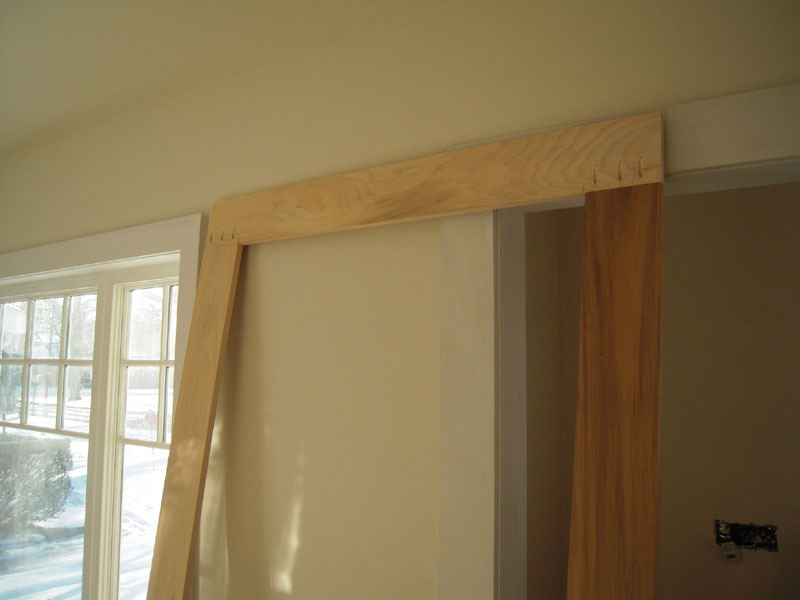 As with all the new trim in the house I use #1 poplar trim – it’s a little more expensive, but paints beautifully. 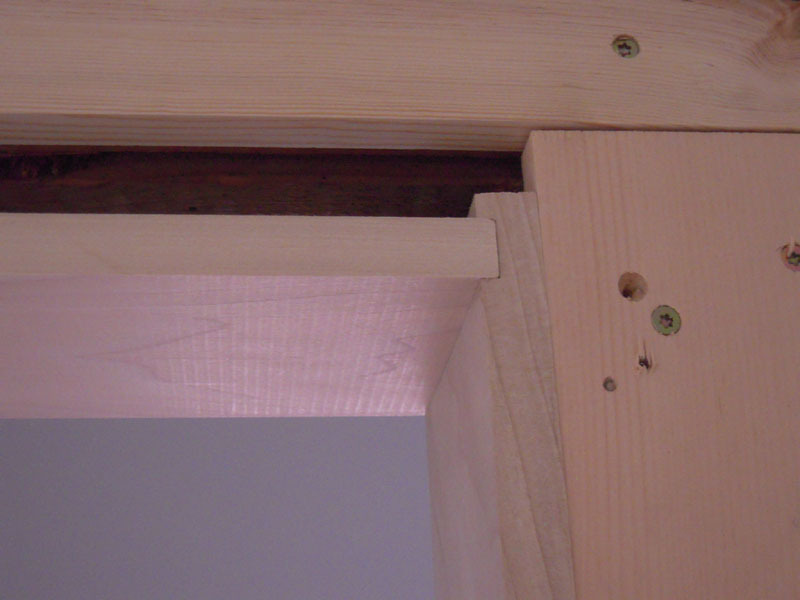 The top and side casing is routed – this creates a stronger joint that is also easy to keep square. As I’ve done more trim, I’ve gone to pre-assembling the face casings with pocket screws.. This keeps the joints together and allows for very good finish joints. The back banding was cut from the stock and then trimmed to fit the face casing. 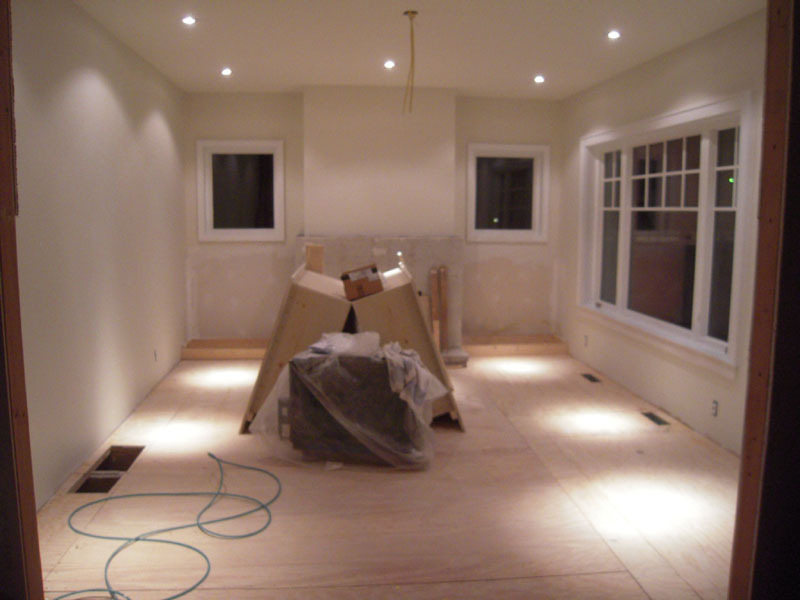 Before the cabinets were installed I wanted to put the first coat of paint on the walls. I used BM 2125-70 Wedding Veil. Bad move. It was so white that is was blinding. So let’s just call this a primer coat. Second attempt was BM OC-18 Dove Wing. 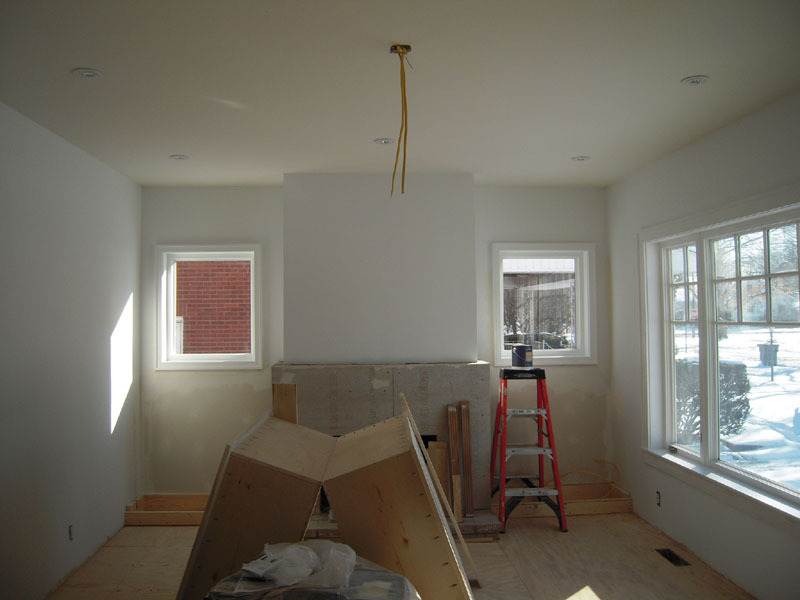 It’s a warmer, almost putty color white – but not too yellow. 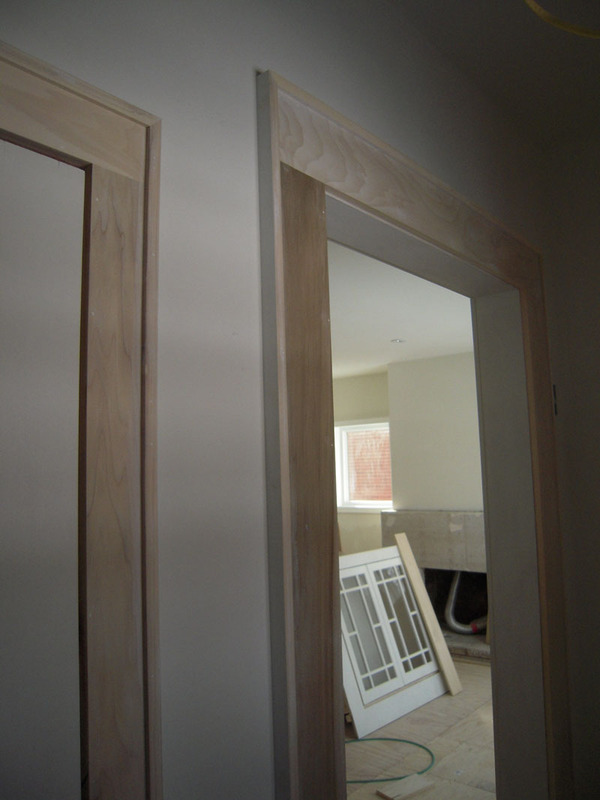 The trim was done in BM 2123-70 Ice Mist in satin Impervo. It’s a blue – white but works well together.